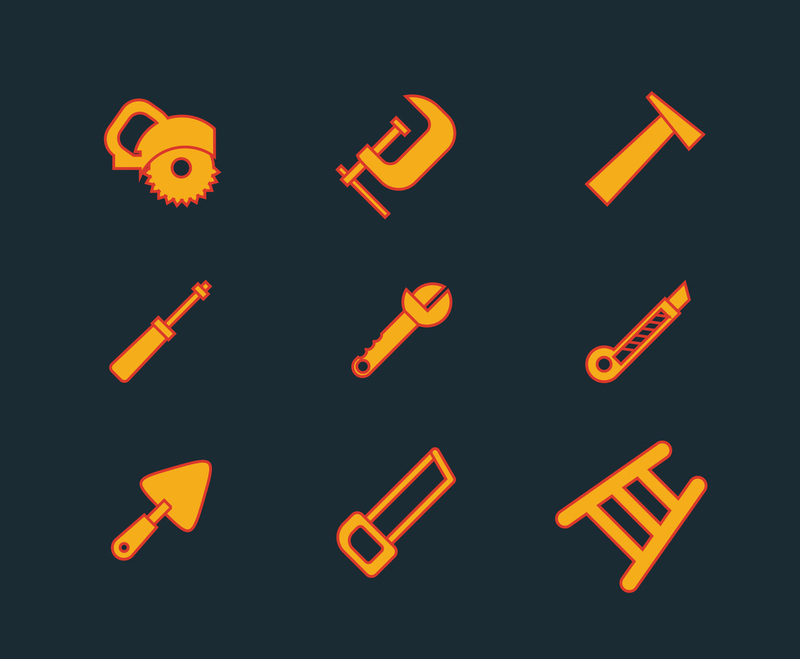 This package is comprised of nine icons representing tools for construction, such as a ladder, a saw, a hammer, etc. I hope it's useful for your projects. Enjoy!